Delivery to Bulgaria and Europe: 5-10 days, more info. 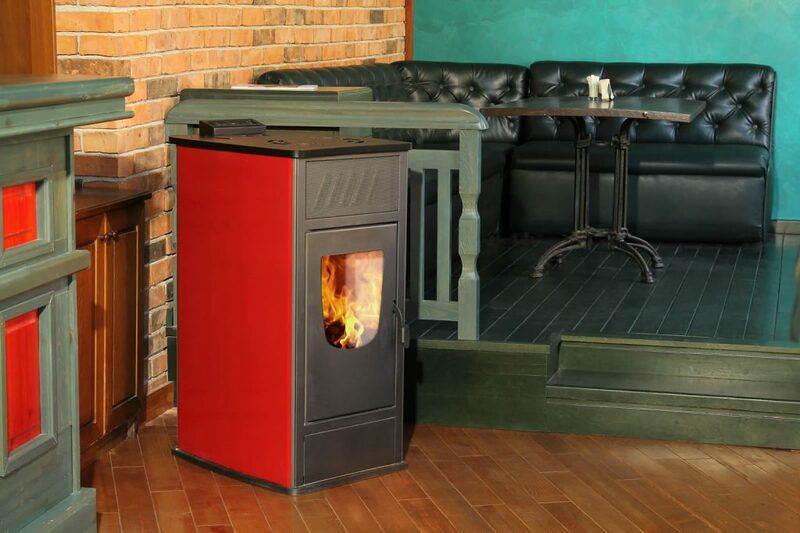 Special construction of the heat exchanger makes this stove unique on the market. Heat exchanger consists of a large number of horizontal pipes located above the combustion chamber, allowing maximum contact between fire and water. Heat exchange is also organized in all the other walls of the fireplace. Also inside the walls of the pellet stove has built-in heat-boosting pipes. 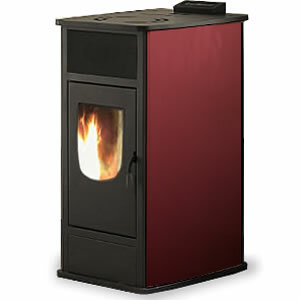 The depth of the pellet stove is maximized and the combustion chamber is located as far as possible from the door. This increases the contact area for heat exchange and reduces the pollution of the glass. The design of the pellet stove is organized so that the pellet-feeding mechanism is under constant control by the user, ensuring its high reliability and safety. A high level of ventilation with no bad emissions created from the combustion. Exceptional construction, allowing for maximum energy conversion efficiency. Automatic stand-by mode, when reaching the set temperature or set hysteresis. And automatic restart when reaching the set temperature. Gas-dynamic self-cleaning at all times. An extra power supply for emergencies when electricity is down. Manual adjustment for the mode and temperature. Automatic control of the fire pump circulator. Automatic shutdown if fuel runs out. A built-in weekly program, that you can adjust to your personal specifications. Exceptional repairability, allowing panel dismantling and cleaning within a few minutes. Ability to start or stop with phone and online. 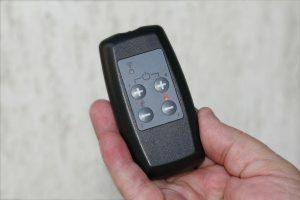 An infrared digital remote controller. 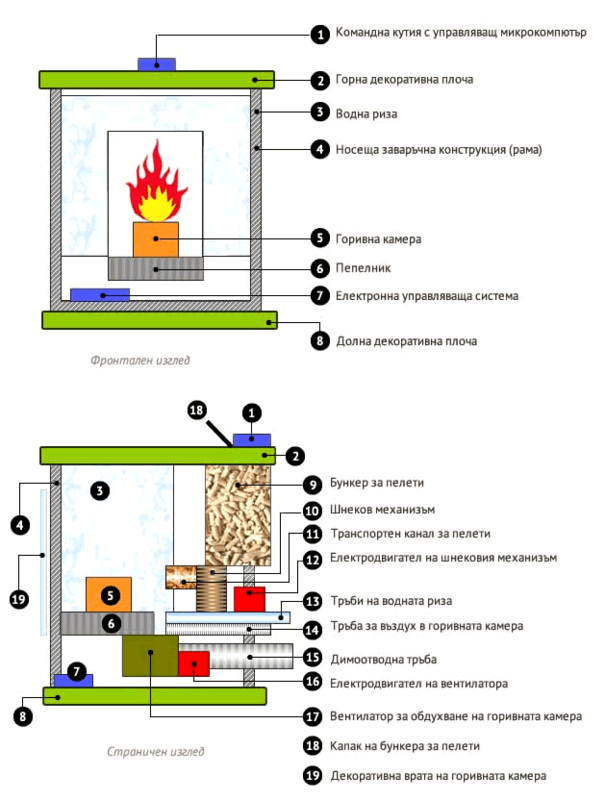 The process of burning is controlled using the built-in electronic system. At the top of the stove is located in command box to set the current parameters of combustion and control of the combustion process. The command box is part of the microcomputer system, control of the stove. Electronic management system consists of two blocks: display, located in the rear part of the upper decorative lid Fireside and managing block, which is located on the bottom base inside the fireplace. The two units are connected to each other with the necessary information and power lines. provides a programming service of the combustion process. The power of the stove can be changed in nine grades ranging from 1 to 9. Each level of power is associated with a flow of air that ventilates the combustion chamber, the low rate is that in 1st grade, and the highest in 9th grade. Provision of prescribed flow-rate is accomplished by changing the speed of rotation or the power of the drive motor. 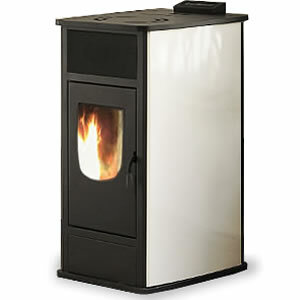 In order to achieve a power of the stove, it is necessary to burn a certain amount of pellets per unit time. The increase in power is achieved by increasing the quantity of fuel supplied. The fuel is fed through the periodic rotation of the screw mechanism that transports the pellets from the hopper to the combustion chamber. The Auger is driven by electric motor with reducer. Operation of the engine is periodic, with two phases: stroke and pause. The move is depending on the degree to which working stove. The power is changed by changing the time during which work the Auger mechanism. This program can be adjusted for an unlimited number of times on request, with a view to optimizing the process. The experience and knowledge of the manufacturer indicated that the optimal ratio of capacity between the 1st and 9th grade moves from 1: 5 to 1: 6, which in most cases is completely satisfactory. The construction of the stove allows the receipt of greater ratio (up to about 1: 7), but it is tied to the quality of the pellets. The command box is located at the rear of the top decorative plate on the stove. Its purpose is to implement the switching on and off of the stove, start and stop the burning process, setting up and management of all the functions, as well as servicing of the stove. The electronic system is designed to work with the minimum possible cost of electricity using modern element base and cutting-edge technical solutions. Thus is the stove adds to the energy saving systems and apparatuses. 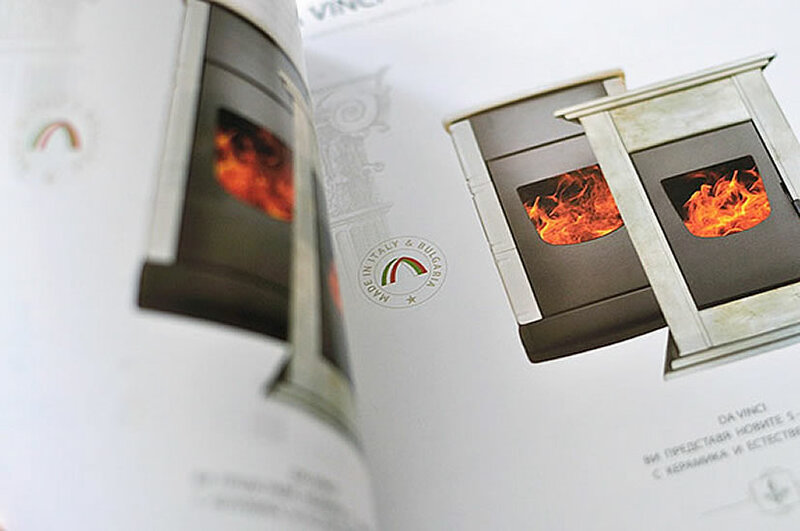 The electronic system is designed so that it can ensure the trouble-free continuous work of the stove on 24 hours a day within the heating season – 6 months. When the network voltage operation of the stove is suspended, if it is not equipped with a cigarette lighter and a weekly programmer. If the network voltage is established the stove in position. To recommence its work must be lighted again. Dependence on the presence of mains voltage is an advantage in terms of safety of operation. Since dropping the network voltage circulation pump in the heating Highway stops operating if the stove continue to work, would have created the conditions for overheating of the water in the water jacket and repeatedly increasing pressure due to the steam phase. In this sense, the dependence of the network and the suspension of work in the absence of mains voltage can be regarded as a defensive feature of the stove. 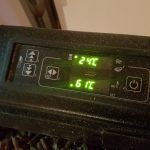 The system provides the required custom features-measuring, set, monitor and maintain the desired temperature in heated premises, able to compile user programs for work of the stove at the power level or the value of the temperature in the day time zones, and also for the current week. The protection of the environment and our future. 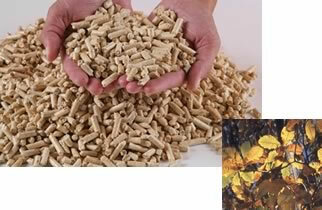 Better heating at a lower price, thanks to pellets. Easy to use due to the airiness of the pellets. Minimum soot and ash in and after combustion. Minimum harmful emissions of CO in the atmosphere. The production of pellets is an ecologically-sound process. Thanks to our modern technology, appliances fuelled with pellets provide thermal comfort, while requiring minimum maintenance. Our products are designed primarily for use in urban environments, where the transport and combustion of wood is inconvenient, cumbersome and polluting, but they also provide a great alternative to gas-fuelled heat systems. The combustion process runs automatically, without the need of continuous surveillance and/or loading. Management and maintenance of the combustion process is carried out with the help of embedded microcomputer system (a microcontroller), consuming negligible amount of electricity. The pellets are simple sawdust, pressed with a cylindrical shape of 30mm length and a diameter of about 6mm to 8mm. The best pellets are derived from deciduous wood with low impurity of bark and resin. Due to the low water content (around 6%), pellets have a high calorific value, close to that of the high-quality hard coal. We are a REECL home energy efficiency creditor program that can help you save up to 35% of the fireplace cost. До 24 часа от получаването на поръчката наш оператор ще се свърже с Вас за потвърждение и доуточняване на поръчката. Вашата поръчка е получена. До 24 часа от получаването на поръчката наш оператор ще се свърже с Вас за потвърждение и доуточняване на поръчката. Доставка в България и ЕС - 5-10дни, повече информация.